The 1085 Series surface mount magnetic contacts are designed for use in installations where a small, sealed unit is required. 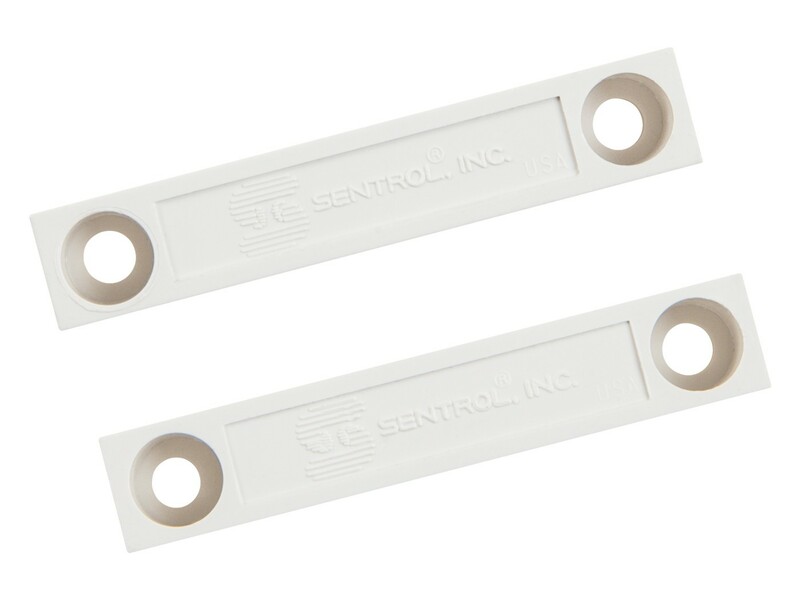 The reed switch is totally encapsulated in Interlogix's exclusive polyurethane potting compound preventing moisture from entering the switch and causing false alarms. The 5/8" standard gap distance allows for fast, easy installation and prevents false alarms from loose fitting doors. Recessed mounting holes make for clean-looking installations. Several models are available including wide gap, SPDT, and high security.